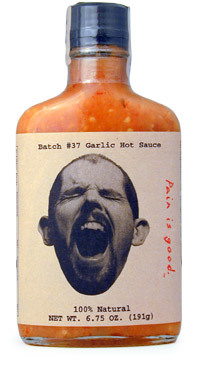 Goes well with everything, not so hot as to destroy your tongue but a nice dose of serious heat. Use it on eggs, steak, or mix it with salsa to let your friends know you don't f*ck around! "Pain Is Good! Batch #37" is the best daily sauce on the market, a utility sauce that goes with almost anything!